An Indonesian military transport plane carrying 13 crew and about 96 passengers has crashed in East Java, bursting into flames and killing at least two persons on the ground, officials said on Wednesday. The number of casualties on the plane was unclear, said air force spokesman Bambang Soelistyo, but a local official said the Hercules aircraft was badly damaged and had hit several houses on the ground. "About 15 metres (50 ft) of the tail is still intact, but the body to the front is broken and burned." Rahul M wrote: google to the rescue. the twin engine pods look similar to the ones on the B-52. Thanks that seems to have answered the question. And now that I think about it, I did happen to see the aircraft in an earlier Bond movie .... Casino Royale if I rememer corectly. 747's have an additional pylon normally used to ferry an engine for repairs. 5 engines. All we see here is the inboard pylon being utilised. iran sejil-2 BM. can reach upto hyd-blr per the USA today article. Algeria is planning to purchase 16 Yak-130 aircraft. India and Malaysia are also considering buying Russian advanced military aircraft. 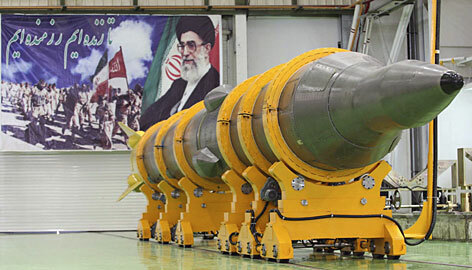 An Iranian missile that state media said is the surface-to-surface Sejil-2 is seen in front of a banner with a picture of Iran's Supreme Leader Ayatollah Ali Khamenei, at an unknown place in Semnan on Monday. Inside the Top 10 hot aerospace technologies by Michael Cooney. Is it possible to fly faster, farther, greener and safer than ever before? Seems the American Institute of Aeronautics and Astronautics (AIAA) thinks so. The group released its first Top 10 Emerging Aerospace Technologies of 2009 report this week which featured greener aviation and alternative aircraft fuel developments as the top budding technologies. Go green: "Greener aviation" technologies includes everything from emission and noise reduction technologies such as the ones being developed for the Federal Aviation Administration's Continuous Low Emissions, Energy and Noise (CLEEN) program. The FAA is looking to build what it calls a world-class consortium for development, maturing and certification of lower energy, emissions, noise, engine and airframe technology over 10 years. The group also pointed toward the European Environmentally Friendly Engine (EFE) program and "Clean Sky" Joint Technology Initiative which is seeking to reduce perceived jet noise to a half of current average levels; cut carbon emissions by 50%; cut fuel consumption by 50%; cut nitrogen dioxide (NOx) emissions by 80%; and reduce the weight of engines. NASA too has focused on developing aircraft that are safer, less expensive and easier to operate, while having fewer negative effects on the environment and communities surrounding airports. For example, the agency has developed Personal Air Vehicles (PAVs) which are small, relatively inexpensive aircraft that can be used for personal travel -- basically a car in the sky. NASA aeronautics developed the PAV concept with the idea of transporting people to within just a few miles of their doorstep destination at trip speeds three to four times faster than airlines or cars. NASA predicts that up to 45% of all miles traveled in the future may be in PAVs. This will relieve congestion at metropolitan hub airports and the freeways that surround them, reduce the need to build new highways and save much of the 6.8 billion gallons of fuel wasted in surface gridlock each year, NASA said. Go alternative: Closely related to the green effort is alternative fuel development including biofuels, as promoted by the FAA's Commercial Aviation Alternative Fuels Initiative (CAAFI) and the recent FAA grant to the X Prize Foundation to spur development of renewable aviation fuels and technologies. According to the FAA CAAFI's specific goals are to promote the development of alternative fuel options that offer equivalent levels of safety and compare favorably with petroleum-based jet fuel on cost and environmental bases. The FAA and the X PRIZE Foundation meanwhile hope to inspire the private sector and a new generation of individuals on the need and practical solutions offered through alternative fuels and adaptive technologies in aviation, the FAA said. The FAA said that over the next 14 months, the X PRIZE Foundation will consult with industry experts to develop a strategy to bring together the best minds in the aviation and science communities to solve the technical challenges and speed up the development and implementation of cost-effective renewable aviation fuels. These will be environmentally friendly and won't have negative side effects, such as the displacement of food production or the inducement of land use changes that lead to additional greenhouse gas emissions, the group said. The Air Force has gone whole hog into the alternative fuel development cycle as well. Last year for example it successfully flew a B-1B aircraft at supersonic speed using an alternate fuel in a flight over the White Sands Missile Range in Texas and New Mexico. The fuel, a 50/50 blend of synthetic and petroleum gas, is being tested as part of an ongoing Air Force program to use a fuel produced in the US, the Air Force said. The Air Force wants to fuel half its North American fleet with a synthetic-fuel blend by 2016. Go faster: High-speed flight technologies - such as supersonic and hypersonic aerodynamics, sonic boom reduction technology, and thermal management aids. Here the folks at NASA and the Air Force for example, have said they would be offering up to $35 million to help fund research that could ultimately develop aircraft that can fly at over five-times the speed of sound or faster. Such hypersonic aircraft face myriad trajectory control, propulsion and heat-related issues akin to what a spacecraft would endure, experts say. DARPA too is looking to build a craft capable of Mach 6+. On the sonic boom front, NASA and the Japan Aerospace Exploration Agency (JAXA) have announced a partnership to jointly research sonic boom and reduce its impact. NASA said sonic boom modeling is one of the key technologies needed to let a next generation supersonic aircraft quiet enough that it can fly supersonically over land without significant disturbance to the people or damage to property under such noise. Get economical: Efficient Propulsion Technologies - including open rotors and geared turbofans, such as those used in the European DREAM (valiDation Radical Engine Architecture systeMs) program. The project in part looks to develop advanced technologies mainly devoted to fuel consumption / CO2 reduction pollution reduction while keeping noise levels down. Let it flow: Active Flow Technologies - such as plasma actuators. Such technology could be used on super- or hypersonic aircraft to control the aircraft's movements. NASA notes that flow control in general is a fluid dynamics technology which is being exploited to improve the performance of aerodynamic surfaces under widely varying conditions. Many of these technologies are becoming common on present day aircraft as passive devices in the form of vortex generators on the upper surface of wings and the vertical winglets seen at the wing tips. NASA goes on to say in active flow control the intent is to apply the control device when needed, thereby gaining the desired improvement. When not required, the control is not applied, and does not detract from the natural performance of the flow surfaces in the engine. You are what you're made of: Advanced Materials - such as nanotechnology and composites. Lightweight and strong composites will continue to be a game-changing technology for aerospace. Composites are being developed that won't melt under high-speeds or can handle space atmosphere. The shapes of things to come: Active Structures - such as shape memory alloys, morphing, and flapping. On its Web site, EADS Military Air Systems says it is investigating innovative design concepts in which the interaction between external aerodynamic forces and the elastic behavior of aircraft will be exploited in order to ensure optimum efficiency for different flight conditions and loads. Airplanes can twist and change aerodynamic shape as they fly, especially at high speed, so such systems can take advantage of that change or try to minimize it. NASA has worked with developing such technology. For example it developed technology that demonstrated improved aircraft roll control through aerodynamically induced wing twist on a full-scale high performance aircraft at transonic and supersonic speeds. Data was obtained to develop design information for blending flexible wing structures with control law techniques to obtain the performance of current day aircraft with much lighter wing structures. The flight data included aerodynamic, structural and flight control characteristics that demonstrated and measured the AAW concept in a comparatively low cost, effective manner. The data also will provide benchmark design criteria as guidance for future aircraft designs. Healthy flying: Health Management - such as monitoring, prognostics, and self-healing. The idea here is that systems will be further enhanced to do better remote collection, monitoring, and analysis of airplane data to determine the craft's status. A number of these systems exists today on airplanes built by Boeing and Airbus. In fact the computer systems aboard the ill-fated Air France jet that crashed this week had notified to its headquarters it was having electrical problems. An unmanned world: Remote Sensing Technologies - including unmanned aerial vehicles and satellites such as those used in NASA's Global Earth Observation System of Systems (GEOSS) program. GEOSS uses a variety of unmanned devices to gather all manner of environmental data. NASA has drone aircraft outfitted with special sensors and technology to help scientists predict everything from a hurricane's intensity and track and how fast Arctic summer ice will melt to whether soggy Pacific storms will flood West Coast cities. And the market for sophisticated unmanned aircraft grows all the time. The US Air Force says next year it will acquire more unmanned aircraft than manned. Researchers at the Teal Group said in their 2008 market study estimates that UAV spending will more than double over the next decade from current worldwide UAV spending of $3.4 billion annually to $7.3 billion, totaling close to $55 billion in the next ten years. The forecast also indicates that the US could account for 73% of the world's research and development investment unmanned flight in the next decade. Getting spacey: Advanced Space Propulsion Technologies - including plasma-based propulsion such as the Variable Specific Impulse Magnetoplasma Rocket, and solar sail technologies. The design of the VASIMR prototype is collaboration between the Department of Energy and the Oak Ridge National Laboratory and its Center for Manufacturing Technology, NASA says. The VASIMR is expected to be commercially useful for boosting communication satellites and other Earth-orbiting spacecraft to higher orbits, retrieving and servicing spacecraft in high orbits around the Earth, and boosting high-payload robotic spacecraft on very fast missions to other planets. According to NASA the VASIMR should make it possible for robotic spacecraft to travel quickly to the outer reaches of the Solar system and begin probing interstellar space. By far, the greatest potential of the VASIMR is expected to lie in its ability to significantly reduce the trip times for human missions to Mars and beyond. This reduction in times is expected to enable long-term exploration of outer space by humans - something that conventional rocket designs now preclude. The AIAA says it is the world's largest professional society boasting 35,000 members involved in promoting the progress of aviation engineering and science, space and defense. "The Air Force built a budget that didn’t include putting auto-land capability in their Predators, despite the fact that we’ve lost a third of the Predators we’ve ever bought, and a significant fraction of the losses are attributable either to the ground control station or the pilot’s operation of that ground control station, or the pilot’s operation of the vehicle," he said, according to Stars and Stripes. By contrast, US Army drones with auto-landing equipment and cheaply-trained operators have an enviable record. IMHO this is an awesome photo gallery. To the uninitiated, like me, it is amazing that this kind of technology is available to a private company in the US. The construction quality of the honeycomb shell seems first-class to the naked eye. The size of the rocket nozzle being milled out of a solid block of metal seems very large to me. An enthusiast's dream. They are getting considerable technical support from NASA, as the US govt is trying to fulfill parts of its space launch needs to the private sector, and focus NASA on the cutting edge of space technology. Reviving Japan's F-22 Raptor hopes? Mr. Shenk said the ACCA isn't designed to be a prototype for a small airlifter or any other aircraft. It is a proof of concept technology demonstrator for composite manufacturing processes in a full-scale, certified aircraft. In an effort to demonstrate and test the technologies while keeping costs down and on schedule, the small team of Air Force and Lockheed Martin engineers elected to modify the high-wing Dornier jet, mating its existing engines, wing, landing gear and avionics systems to the new composite structure. The modified fuselage has enlarged rear cargo doors and can accommodate two standard size military pallets. China planning to restart engine production for its J-7 fighter with help from the UK or France. June 9, 2009: China is seeking to resume manufacturing the JF-7 fighter bomber. To this end, negotiations are underway with jet engine makers in France (Snecma) and Britain (Rolls Royce), to provide engines. The JH-7 entered service a decade ago, although only about a hundred were built. Additional production was delayed because the aircraft was designed to use a British engine (the Spey 202), which was not supposed to be going to China after the 1989 embargo. But Rolls Royce, the manufacturer quietly continued exporting some engines, and technical assistance. China thought it could reverse-engineer this engine, but was unable to do so. China made peace with Rolls Royce over this abortive bit of tech piracy, and began producing their version of the Spey 202 (WS9) in the late 1990s. But China continues to have problems with manufacturing jet engines to Western standards, and wants more direct assistance from Rolls Royce. Thus China is trying to get a proper production license from the British engine manufacturer, so that it can build more JH-7s. But that 1989 embargo keeps getting in the way. China is discussing the technical aspects of resuming engine imports, with Rolls Royce and Snecma, in expectation that the European Union will soon drop the embargo. Meanwhile, China buys second hand Spey 202 engines wherever it can. The JH-7 is a 27 ton, twin engine aircraft, with a 40 foot wingspan. It is underpowered, and only has a five ton bomb load. But using new Chinese made smart bombs and air-to-ground missiles, the JH-7 becomes more useful. The JH-7 is used mainly by the Chinese navy. The aircraft has an operational radius of about 900 kilometers, enabling it to contribute to an attack on Taiwan, or a blockade of the islands ports. The JH7A could carry four KD-88 missiles. China wants to build another 150 JH-7s, as an improved version (JH-7A) with more powerful engines and better electronics. Lockheed Martin's mile-long fighter plant in Fort Worth, Texas strains today to deliver an average of one F-35 Joint Strike Fighter prototype every month. Since the second flight-test aircraft - the short take-off and vertical landing (STOVL) model BF-1 - debuted in June 2008, only one other flight-test aircraft has achieved "first flight" status. Somehow, Lockheed must quickly overcome these early growing pains. Over the next seven years, current acquisition plans call for dramatically raising output until a new fighter is delivered every working day, excluding holidays and weekends, or about 240 jets in a year. In the world of modern military aircraft manufacturing, the F-35 is on an entirely new level. Even the F-16 production system peaked at about 15 F-16s a month. But the F-35's final assembly plant at its projected peak will produce 20 aircraft a month split among three major variants and perhaps a dozen international configurations. Pay particular attention to the VULCAN turbojet and Constant Volume Combustion (CVC) hybrid engine. This is going to be something that will have major impact in the aero scene! VULCAN is a propulsion system demonstration program to design, build and ground test an engine capable of accelerating a full scale hypersonic vehicle from rest to Mach 4+. The VULCAN engine will consist of an integrated Constant Volume Combustion (CVC) engine and a full scale turbine engine. CVC engine architectures, could include Pulsed Detonation Engines (PDE’s), Continuous Detonation Engines (CDE’s) or other unsteady CVC engine architectures. The CVC engine would operate from below the upper Mach limit of the turbine engine to Mach 4+. The turbine engine will be a current production engine capable of operating above Mach 2 and may be based on any of the following engines, the F100-229, F110-129, F119 or F414 engines. A key objective of the program is to integrate the turbine engine into the VULCAN engine with minimal modification to the turbine engine, to operate the turbine engine from rest to its upper Mach limit and to cocoon the turbine engine when it is not in use. It desired that both the turbine and the CVC engines share a common inlet and nozzle. It is envisioned that developing the VULCAN engine will enable full scale hypersonic cruise vehicles for intelligence, surveillance, reconnaissance, strike or other critical national missions. Also it underlines why the Indian MRCA contract has long term consequences for both the country and the Global fighter aircraft industry as a whole. A former USAF guy on some other forum stated that a dumbed-down F-22 simply cannot exist. He said the most revolutionary aspect of the F-22 is its airframe and structure (my apologies if my terminology is incorrect); he said how the hell do you dumb down an airframe? Will the US resurrect the Delta Clipper rocket, in the wake of abandonment of its Constellation program? Air conditioned and a great view. although US and western european countries are in NATO but despite this many european countries buy from US but US can't do something which favours europe. saying this just because nowdays obama is shouting for "buy american". The US Congress withdrew funding from the Navy's programme to improve the D5 missile's accuracy, but the Navy has been able to continue it using other funding, and in March 2005 the USS Tennessee carried out a test of a new re-entry vehicle with flaps and GPS guidance. Are they capable for such a projects? 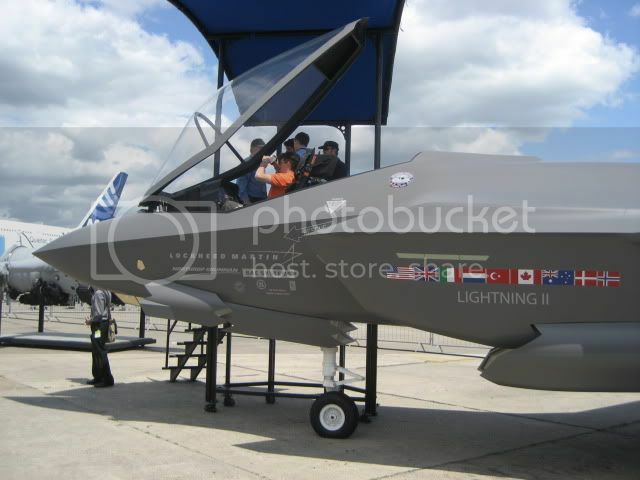 My meagre photo set from Le Bourget. Nice Pictures Aditya, please add any information you may have received pertaining to India's acquistions in the relevant threads. 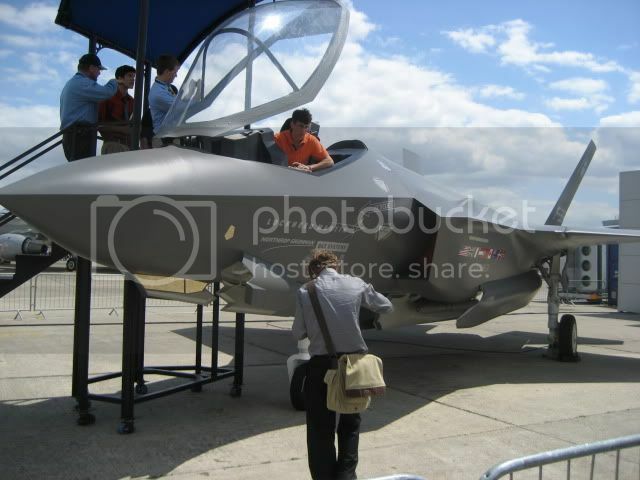 Sen. Dan Inouye (D-Hawaii) has told the Japanese government that a fleet of 40 Raptors – desensitized for foreign military sales – would cost about $11.6 billion with deliveries of combat-ready stealth fighters beginning in 2014. Procurement of long-lead materials would begin in 2011 with production to begin in mid-2014, The first mission capable aircraft could be delivered to Japan in 2017. The Pentagon is paying $142.5 million per aircraft as part of a multi-year contract. Aerospace industry analysts say that any break in F-22 production would add extra costs. Rockets For The Red Planet Engineers rethink how to get to Mars and back. Apollo 11 astronaut Buzz Aldrin has a problem with NASA’s current manned space plan: Namely, the five-year gap between the shuttle’s scheduled retirement next year and the debut of the Ares I rocket and the Orion spacecraft, which will take us no further than the moon—a place we’ve already been. Aldrin thinks NASA can do better. His plan is to scrap Ares I, stretch out the remaining six shuttle flights and fast-track the Orion to fly on a Delta IV or Atlas V. Then, set our sites on colonizing Mars. Here, Buzz challenges NASA to take on his bolder mission. JaiS - unfortunately I spent most of my time looking for prospective employers. But I can say this, the mood was very gloomy because of the recession and lack of funding and buyers. I am certain that they will do it, although engines will probably be imported. Also the Chinese do consult others - eg the Russians on such design work and AFAIK. The Chinese are nor risk averse and they will pour money in and do not have a press/public that will criticise delays from crashes or crashes from hurrying a test program. I think the Russians currently have the largest seaplane - not sure need to check.